Thanks to the Girl Scouts, this time of year always gets me thinking about team management. And cookies. For the last few years my family and I have taken part in a tradition dating over 100 years: we sell Girl Scout Cookies. Well, technically I guess my daughters sell Girl Scout Cookies. That’s kind of the point, isn’t it? Cookie fever begins in January, when our troop starts plotting the ways we will sell cookies to our Orange County communities. We lean on what worked well the year before and learn about new opportunities for our adorable little sugar slingers to keep your dentists busy for the remainder of the year. Then the girls sell the cookies. 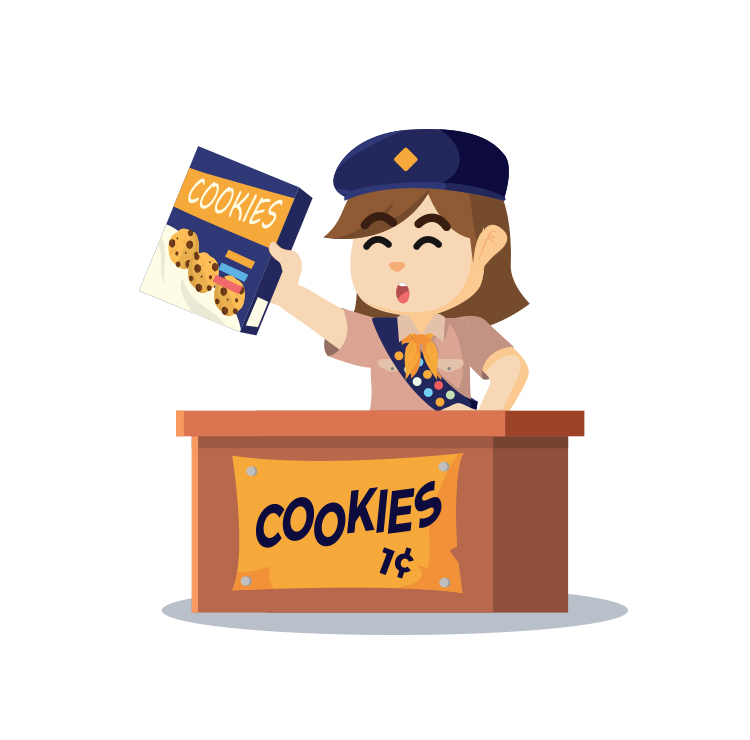 I’ve seen parents support their children in one of two ways: (1) Give their scouts the online assets to sell their cookies across various media, as well as the in-person opportunities offered by the troop and certain neighborhoods, all while utilizing the various prizes to encourage said scout as proverbial carrots; or, (2) sell the cookies for the kid(s). When we first started with Girl Scouts of America, we didn’t do so hot. My daughters were uninterested and really only gave about 10%. I did almost nothing to bolster that enthusiasm. As a result, we sold very little. When our family watched other scouts beam with pride and walk away with all sorts of cool prizes, we vowed to do better next year. And then, last year, we figured out the trick: Give the girls everything they need to succeed with plenty of room to fail. Be there to support them when they ask for it and mentor them when they need it. And help them to achieve their goals without compromising our own. The result: proud daughters who learned a bit about business and themselves, maintained relations with our friends and family, and a nice stash of cookies in our cupboards to hold us over until 2019. Tools to succeed. Room to fail. Support. Mentorship. Help without compromise.